« Save the Date: 2013 Proclaim Retreat! Extraordinary Lutheran Ministries joyfully announces the 2012 Joel R. Workin Memorial Scholars, Rebecca Seely and Asher O’Callaghan. ELM named two scholars this year thanks to a generous gift. The Joel R. Workin Memorial Scholarship program was created to honor the life and ministry of Joel Workin. Joel was one of the three gay seminarians who were refused ordination in 1989 after “coming out” to their candidacy committees. 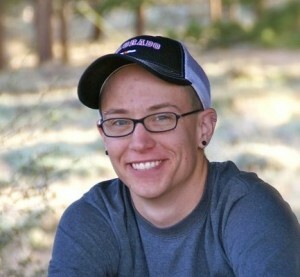 Joel’s family and friends created the scholarship fund following his death from AIDS in 1995. This award comes with a scholarship to publicly-identified LGBTQ seminarians who embody Joel’s passion for justice and faith in their lives and ministry. In addition, the scholar represents ELM throughout the year. Co-Chairs of the Joel R. Workin Memorial Scholarship Endowment Committee are Rev. Jeff R. Johnson and Greg A. Egertson, beloved friends and classmates of Joel’s. The scholars were chosen from a pool of excellent candidates. The scholarship is funded through the Joel R. Workin Memorial Endowment. Donors may make planned or immediate gifts to the endowment by contacting Amalia Vagts at 563-382-6277. ELM congratulates and gives thanks for these two scholars. Becca has been involved with social justice issues for many years. 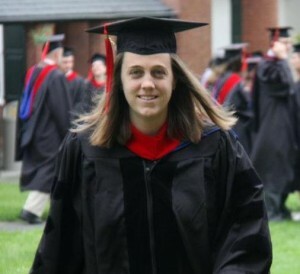 She recently graduated from Yale Divinity School in New Haven, Connecticut. She will be fulfilling her Lutheran Year at Pacific Lutheran Theological Seminary next year. Last year, Becca completed an internship as a chaplain at the Christian Hospital in St. Louis, MO. Becca received her undergraduate degree at Wesleyan University, with a focus on European literature, history and philosophy and a minor in Jewish and Israel Studies. The scholarship committee felt that through her voice and unique experience they have discovered one who proudly gives voice to Joel’s memory and legacy for this coming year. Read Becca’s Workin essay here. Asher came to the Lutheran church via House For All Sinners and Saints in Denver, Colorado. In 2011 he finished his graduate coursework at Iliff School of Theology in Denver and begins at Luther Seminary this fall. Asher has a focus on service to others through mission work, caring for those with mental health concerns, and making personal witness as a person who found Christ anew in Lutheran liturgy and theology. Asher brings an international perspective into his ministry work since he spent the summer of 2007 in South Africa and Swaziland. He collaborated with local mission partners and the 11 other members of his team to design and implement day programs, HIV/AIDS educational presentations, events, and activities for youth. Additionally, he worked to empower individuals recovering from mental illness by accompanying, supervising, and working alongside of them while volunteering at Boulder Mental Health Center for 2 years in college. It is such an honor to receive this scholarship. I use the word “honor” because it’s not something I feel I get to deserve or earn but rather something that I simply get to receive. Joel’s prophetic yet pastoral voice was a blessing to the church and a hopeful blessed witness for LGBTQ individuals. The opportunity I have to be pursuing a path in ministry is a direct result of the work that’s already been done by Joel and other LGBTQ folks who have lived as God’s witnesses, prophets, and servants to the church. I feel profoundly humbled, convicted, honored, and blessed to continue in this heritage of proclamation—with every aspect of my calling, ministry, and identity. The scholarship committee recognized in Asher a voice that is, like Joel’s, fearless and prophetic in its Gospel proclamation. Read Asher’s Workin essay here. This entry was posted on Thursday, May 31st, 2012 at 10:51 am	and is filed under Uncategorized. You can follow any responses to this entry through the RSS 2.0 feed. Both comments and pings are currently closed.